· 알파벳부터 제대로 영어로 소리내는 법을 알려드립니다. · 원어민이 알아듣는 소리내는 법을 알려드립니다. · 영어의 가장 기본이 되는 구조들을 익힘으로서 영어의 기본 원리를 습득합니다. · 기본문장부터 의문문, 부정문까지 구사 가능합니다. · 일상생활에서 말하기는 이것만으로도 충분합니다. 1강 OT - 영어, 왜 그렇게 어려웠을까요? 2강 소리1 - 알파벳, 읽을 수 있으세요? 3강 소리2- Yes! No! Wow! 4강 소리3- "음~ 좋아쓰. "에 영어발음의 비밀이 숨어있어요. 5강 소리4- 라이트는 Right일까 Light일까? 7강 소리6- 댄과 Dan의 차이는? 8강 소리7- 버스 vs 뻐스, 뭐가 낫나요? 10강 소리9- 왜 트리가 츄뤼야? T는 장식이니까. 11강 소리10- 뒤에도 장식이 있어요. 12강 소리11- 박자 4개만 알면 원어민느낌! 13강 소리12- 바나나가 왜 버내너야? · 소리 내는 법과 영어의 기본 구조를 익혔으면 조금 더 풍부하게 말해 봅니다. · 기본 구조에 실제 원어민들이 자주 사용하는 표현 및 패턴들을 익혀서 세련되게 말해 봅니다. · 긴 문장이 아니라 짧은 표현들이므로 입에 붙게 연습이 가능합니다. 1강 나는 신나. I’m excited. 2강 너는 특별해. You’re special. 3강 그는 사무실에 있어. He’s at the office. 4강 나는 흡연자가 아니야. I’m not a smoker. 5강 그것은 내 잘못이야. It’s my fault. 6강 이쪽은 내 남자 친구야. This is my boyfriend. 7강 문제가 있어. There’s a problem. 8강 나는 숙취가 있어. I have a hangover. 9강 그는 여동생 한 명이 있어. He has a younger sister. 10강 나는 급여 인상을 원해. I want a raise. 11강 나는 영화를 즐겨. I enjoy movies. 12강 나는 요리하는 것을 좋아해. I like cooking. 13강 너는 피곤해 보여. You look tired. 14강 흥미롭게 들려. It sounds interesting. 15강 너는 나를 행복하게 해. You make me happy. 16강 네가 머물러 줬으면 좋겠어. I want you to stay. 17강 여기에 주차하는 것은 괜찮아. It’s OK to park here. 18강 비가 올 것 같아. It’s likely to rain. 19강 늦은 답장에 대해 미안해. I’m sorry for the late reply. 20강 너의 배려에 대해 고마워. Thank you for your consideration. 21강 조심해 주세요. Please be careful. 22강 제게 기회를 주세요. Give me a chance. 23강 다시 시도하자. Let’s try again. 24강 내가 줄거리를 설명해 줄게. Let me explain the plot. 25강 그것 참 안 됐구나! What a shame! 26강 나는 주식에 관심이 있어. I’m interested in stocks. 27강 나는 너와 끝냈어. I’m done with you. 28강 나는 김 씨를 만나기로 되어 있어. I’m supposed to meet Mr. Kim. 29강 나는 막 떠나려던 참이야. I’m about to leave. 30강 나는 이 날씨에 익숙해졌어. I’m used to this weather. 1강 나는 취했었어. I was drunk. 2강 너는 고집이 셌어. You were stubborn. 3강 그는 틀렸어. He was wrong. 4강 정말 화창한 날씨였어. It was very sunny. 5강 나는 네게 전화했어. I called you. 6강 나는 네게 말하고 있어. I’m talking to you. 7강 내가 술 한잔 살게. I’ll buy you a drink. 8강 나는 여행할 거야. I’m going to travel. 9강 나는 이미 도착했어. I’ve already arrived. 10강 나는 인도에 가 본 적 없어. I’ve never been to India. 11강 나는 오늘을 기다려왔어. I have been waiting for today. 12강 나는 운전할 수 있어. I can drive. 13강 나는 이 문제를 고칠 수 있어. I’m able to fix this problem. 14강 너는 내 노트북을 써도 돼. You could use my laptop. 15강 나는 가야 해. I have got to go. 16강 너는 서두를 필요가 없어. You don’t have to hurry. 17강 너는 그를 만나야 해. You should meet him. 18강 나는 일 그만둘지도 몰라. I might quit my job. 19강 비용이 많이 들 거야. It would cost a lot. 20강 나는 이것을 사고 싶어. I’d like to buy this. 21강 하루 휴가를 쓸 수 있으면 좋을 텐데. I wish I could take a day off. 22강 그녀는 그것을 떨어뜨렸음이 틀림없어. She must have dropped it. 23강 나는 더 일찍 출발했어야 했어. I should have left earlier. 24강 너는 우산을 챙기는 게 좋겠어. You’d better take an umbrella. 25강 차라리 집에 있는 게 낫겠어. I’d rather stay home. 26강 지금 당장 결정해야 하나요? Do I have to decide right now? 27강 차 좀 드릴까요? Would you like some tea? 28강 당신에게 뭐 좀 물어봐도 될까요? Can I ask you something? 29강 어떻게 이것을 사용하니? How can I use this? 30강 우리 지금 주문할까? Should we order now? 1강 너는 진심이니? Are you serious? 2강 너는 어제 바빴니? Were you busy yesterday? 3강 그녀는 예쁘니? Is she pretty? 4강 그것은 흥미진진했니? Was it exciting? 5강 너는 걸어서 출근하니? Do you walk to work? 6강 그는 담배 피우니? Does he smoke? 7강 너는 머리 잘랐니? Did you get a haircut? 8강 너는 지금 일하는 중이니? Are you working now? 9강 도쿄에 가 본 적 있어? Have you been to Tokyo? 10강 그에게 메시지 보낼 거야? Will you message him? 11강 다음은 누구야? Who’s next? 12강 어떤 것이 알코올이 없어? Which one is alcohol free? 13강 문제가 뭐야? What’s the matter? 14강 몇 시에 체크아웃이야? What time is checkout? 15강 어떤 종류의 개를 키워? What kind of dog do you breed? 16강 마감이 언제야? When’s the deadline? 17강 화장실은 어디에 있어? Where’s the restroom? 18강 오늘 날씨는 어때? How’s the weather today? 19강 너는 커피를 얼마나 마셔? How much coffee do you drink? 20강 출퇴근은 얼마나 걸려? How long is your commute? 21강 너는 왜 그렇게 피곤해? Why are you so tired? 22강 누가 네게 말해줬어? Who told you? 23강 너는 언제 떠나? When do you leave? 24강 너는 어디에서 내려? Where do you get off? 25강 무엇을 원해? What do you want? 26강 너는 어떻게 그곳에 가? How do you get there? 27강 너는 왜 그를 좋아하는 거야? Why do you like him? 28강 너는 어떤 것을 원해? Which one do you want? 29강 누가 고객을 만날 거야? Who’s going to meet the client? 30강 너는 언제 올 거야? When will you come? · 나 혼자 영어말하기 연습에서 벗어나 나의 이야기를 전달하고 상대방의 이야기를 듣고 이해하고 답할 수 있습니다. · 표현 및 패턴에서 벗어나서 나의 이야기를 전달하는 데 필요한 표현들을 더욱 풍부하게 연습합니다. 1강 그가 언제 오는지 알아? Do you know when he arrives? 2강 제가 창문을 열어도 될까요? Do you mind if I open the window? 3강 상처 주려던 것은 아니었어. I didn’t mean to hurt you. 4강 문 잠그는 거 잊지 마. Don’t forget to lock the door. 5강 그녀에게 전화하는 게 어때? Why don’t you call her? 6강 내일 비오면 어쩌지? What if it rains tomorrow? 7강 나는 네가 지겨워. I’m sick of you. 8강 나는 너를 만나는 것이 너무 기다려져. I can’t wait to meet you. 9강 그게 바로 내가 말하는 거야. That’s what I’m talking about. 10강 그래서 내가 널 좋아하는 거야. That’s why I like you. 11강 나는 네가 준비되었다고 생각하지 않아. I don’t think you’re ready. 12강 누가 이기든지 난 신경 안 써. I don’t care who wins. 13강 네가 기다린 지 얼마나 됐어? How long have you been waiting? 14강 네가 화날 만도 하네. No wonder you’re angry. 15강 나는 너를 만나기를 기대하고 있어. I’m looking forward to meeting you. 16강 나는 집을 살 여유가 없어. I can’t afford to buy a house. 17강 여기로 오라고 들었어. I was told to come here. 18강 비가 오는 줄 몰랐어. I didn’t realize it was raining. 19강 내가 집까지 바래다 줄까? Do you want me to walk you home? 20강 네가 좋아할 거라고 생각했어. I thought you’d like it. 21강 와이파이를 쓸 수 있는지 궁금해요. I was wondering if I could use the Wi-Fi. 22강 네가 좋은 남자를 만날 거라고 확신해. I’m sure you’ll meet a nice guy. 23강 작별 인사를 할 시간이야. It’s time to say goodbye. 24강 저를 도와주셔서 정말 감사합니다. It’s very kind of you to help me. 25강 그와 만나는 것이 가능할까요? Would it be possible to meet him? 26강 어떤 요리를 제일 좋아해? What’s your favorite dish? 27강 나는 아이스 아메리카노가 더 좋아. I prefer an iced Americano. 28강 나는 결국 그녀와 헤어지고 말았어. I ended up breaking up with her. 29강 돈 낭비인 것 같아. It seems like a waste of money. 1강 아내가 없어졌어. My wife disappeared. 2강 눈에 멍이 들었어. I have a black eye. 3강 그녀는 뭐든지 빨리 배워. She is a quick learner. 4강 내가 네게 아침밥을 만들어 줄게. I will make you breakfast. 5강 나는 말이 많아져. I become talkative. 6강 맛이 이상해. It tastes funny. 7강 너는 내 인생을 고단하게 만들어. You make my life difficult. 8강 그는 보통 나를 집에 태워다 줘. He usually drives me home. 9강 너는 직진해야 해. You should go straight. 10강 나는 이틀에 한 번 운동해. I work out every other day. 11강 네가 손에 들고 있어. You have it in your hand. 12강 네 스타킹에 올이 나갔어. There’s a run in your stocking. 13강 그는 휴가 중이에요. He's on vacation. 14강 그는 은행원 아니야? Isn’t he a banker? 15강 저에게 잘 어울리나요? Does it look good on me? 16강 회사 규모는 어느 정도였어요? How big was the company? 17강 너는 시부모님을 어떻게 생각하니? What do you think about your in-laws? 18강 일등석을 타 본 적 있어? Have you ever flown first class? 19강 스테이크는 어떻게 익혀 드릴까요? How would you like your steak? 20강 무슨 일로 오셨어요? What brings you here? 1강 내 휴대전화가 고장 났어. My cell phone is broken. 2강 나는 애프터서비스에 만족했어. I was satisfied with the after-sales service. 3강 나는 네일 케어를 받았어. I got my nails done. 4강 그가 조는 것을 봤어요. I saw him nodding off. 5강 아이 옷 입히면서 화장하고 있어. I’m putting on make up while dressing my kid. 6강 말 험하게 하는 녀석들 좀 봐. Look at the boys using bad language. 7강 그는 주사 맞는 것을 싫어해. He hates getting shots. 8강 나는 요즘 일할 맛이 안 나. I don’t feel like working these days. 9강 그들은 편안한 분위기인 척했어. They pretended to be laid-back. 10강 나는 재택근무하기 위해 그만뒀어. I quit to work from home. 11강 그녀는 내가 대출금을 갚기를 원해. She wants me to pay off the loan. 12강 상사가 내가 칼퇴근 못 하게 했어. My boss didn’t let me leave on time. 13강 기저귀를 갈아주는 것을 잊지 마. Don't forget to change his diaper. 14강 한 시간 일찍 출근하라는 말을 들었어. I was told to come to work an hour early. 15강 롤러코스터 타는 건 신나. It’s exciting to ride a roller coaster. 16강 내 꿈은 인기 연예인이 되는 거였어. My dream was to be a popular celebrity. 17강 소개팅할 시간이 없어. There’s no time to go on a blind date. 18강 환전하기 가장 좋은 방법이 뭐에요? What’s the best way to change money? 19강 그 소식을 들으니 참 유감스럽네요. I’m so sorry to hear that. 20강 그는 꽃을 들고 있는 사람이야. He’s the one with flowers. · 언어로 이야기 하는 것을 넘어 그 언어권의 문화를 이해하고 그와 관련된 표현들을 학습합니다. · 네이티브들과 소통하기에 무리가 없는 것을 목표로 하며 그 문화의 이해를 바탕으로 영어로 트렌드까지 따라잡는 것을 목표로 합니다. 1강 그는 바람피웠다는 것은 부인했어. He denied that he cheated on me. 2강 용돈을 더 받을 수 있을지 궁금해. I wonder if I can get more pocket money. 3강 누가 집에 데려다줬는지 모르겠어. I have no idea who brought me home. 4강 무슨 말을 해야 할지 모르겠어. I don’t know what to say. 5강 그는 목소리가 우렁찬 것처럼 들려. It sounds like he has a strong voice. 6강 문제는 일자리가 많지 않다는 거야. The thing is that there aren’t many job openings. 7강 나를 스토킹한 여자애야. The girl who stalked me. 8강 내가 노래해 줬으면 하는 것 있어? Is there anything you want me to sing? 9강 그게 바로 내가 엄청 긴장한 이유야. That’s why I’m so nervous. 10강 당신은 재무상담만 받으면 돼요. All you have to do is get financial counseling. 11강 최근에 바닥 청소한 게 언제였지? When was the last time you cleaned the floor? 12강 그 선수가 삼진아웃 당해서 열 받아. I’m mad that the player struck out. 13강 당신 몸매 관리한 지 좀 됐어. It’s been a while since you were in shape. 14강 제가 한우를 주문해도 되나요? Would you mind if I ordered Korean beef? 15강 아무리 열심히 일해도, 승진이 안 돼. No matter how hard I work, I never get promoted. 16강 잘난 척하지 말았어야 했는데. I shouldn’t have bragged. 17강 원 없이 늦잠 자면 좋을 텐데. I wish I could sleep as late as I want. 18강 선임이 나를 괴롭히면 어쩌지? What if my senior officer picks on me? 19강 회사 시설이 보기보다 좋아. The facility is better than it looks. 20강 본 것 중에서 가장 푸짐한 양을 줘. 1강 take - 그녀는 기차를 타고 있었어요. She was taking the train. 2강 get - 그는 겁먹었어요. He got scared. 3강 have - 그는 심장마비를 일으켰어요. He had a heart attack. 4강 make - 그녀는 복사를 했어요. She made some copies. 5강 give - 그는 최선을 다했어요. He gave it his best shot. 6강 do - 그녀는 설거지를 하고 있었어요. She was doing the dishes. 7강 break - 그는 기록을 깼어요. He broke the record. 8강 put - 그녀는 돈을 따로 모아두었어요. She put some money aside. 9강 run - 차들이 난간을 들이받았어요. The cars ran into the railings. 10강 turn - 쥐가 다시 나타났어요. The rat turned up again. 11강 go - 그들은 창백해졌어요. They went white. 12강 keep - 그는 그것에 대해 계속 생각했어요. He kept thinking about it. 13강 come - 그는 깨닫게 되었어요. He came to realize. 14강 bring - 그는 문제를 제기했어요. He brought up the problem. 15강 leave - 그는 할 말을 잃었어요. It left him speechless. 16강 fall - 그는 잠들었어요. He fell asleep. 17강 let - 그는 잊기로 마음먹었어요. He decided to let it go. 18강 work - 그는 계획을 세웠어요. He worked out a plan. 19강 catch - 그는 구멍에 갇혀버렸어요. He was caught in the hole. 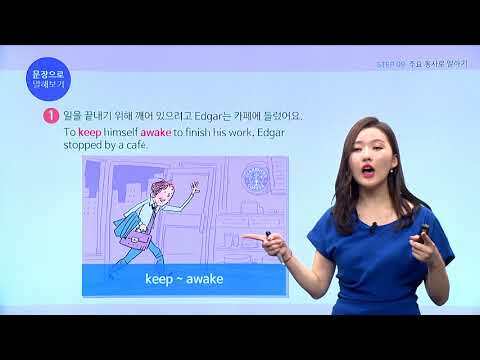 20강 hold - 그는 숨죽였어요. He held his breath. 1강 안녕, 친구! Hey, buddy! 2강 어떻게 지내? What’s up, man? 4강 맙소사! Oh my god! 5강 말도 안 돼! No way! 8강 안 그러는 게 좋을 걸. You don’t wanna do that. 9강 날씨 진짜 덥네. The weather’s so hot. 10강 그거 알아? You know what? 11강 내가 뚱뚱해졌다는 말이야? Are you saying that I got fat? 12강 그런 셈이야. Kind of. 13강 그만해! Cut it out! 14강 한번 해 봐! Give it a shot! 15강 내가 망쳤어. I messed it up. 16강 난 괜찮아. I’m cool. 17강 그 영화 정말 별로였어. The movie was so stupid. 18강 알았어! I got it! 19강 무슨 말이야? What do you mean? 21강 난 빠질래. I’m out. 22강 그녀가 사라졌어. She disappeared. 23강 내 실수야! My mistake! 24강 나 좀 가만히 놔둬! Leave me alone! 26강 너 제정신이야? Are you out of your mind? 29강 요점만 말해. Cut to the chase. 30강 오늘은 여기까지. Let’s call it a day. 클로바. 토마토크에서 영어 강의 재생해줘! 초급, 중급, 고급 영어 수준을 선택해주세요! 초급이시군요! 초급에 적합한 강의를 재생합니다. 클로바 프렌즈와 영어로 대화할 수 있어요. Hi, again I am so happy to talk to you. I think we will have an interesting conversation today. I had lunch with my friend. 똑같은 왕기초 강의가 아닌 진짜 A 발음부터 제대로! 먼저 너무 감사드립니다. 외국계 취업이 너무 절실한데 영어 기초도 몰랐던 터리 너무 막막했습니다. 그러던중 토마토크를 알게되었고 4주만에 웬만한 소통이 될 정도가 되어 인터뷰에서 잘 대답할 수 있었습니다!! 결과는 합격! 너무 감사합니다 ! 필요해서 시작한 공부.. 이젠 써먹는 즐거움!! 해외여행가면 친구들은 주문도 영어로 착착 잘 하는 데 저는 못해서 뒤에 숨어 있었거든요;; 그래서 토마토크 시작하게 됐어요 아직 많이 안들어서 드라마틱한 효과는 못봤지만 계속 꾸준히하면 친구들보다 제가 더 잘할 수 있을 것 같아요! 민쌤 믿고 열공하겠습니다 !! 사실 클로바때문에 혹해서 산 게 맞습니다 ㅋㅋ 근데 회화 강의가 여타 다른 사이트의 강의들 (야나x, 스피킹xx) 보다 100배는 좋은 것 같네요 다른 사이트에서는 말도 안되는 분량을 다 합쳐서 비싸게 파는데 토마토크는 정말 필요한 분량과 필요한 수준의 강의를 제공해주니까 너무 좋아요! 앞으로 완강 목표로 클로바랑 열공할게요!! 토마토크는 후기를 선별하여 노출하지 않습니다. 문장의 구조를 체득하여 자연스럽게 문장을 떠올립니다. 클로바 프렌즈 스피커에서 토마토크 강의를 들으실 수 있습니다. 친절한 민쌤의 30강만으로 4주만에 영알못에서 영잘알로! 4주만 믿고 따라가면 어느새 영어와 친숙해진 나를 발견할 수 있습니다. 단어를 기준으로 발음을 공부하면 외울것이 수백만 가지죠? 알파벳 읽는 원리 하나로 단어는 한방에 해결! 문장 구조를 만들지 않고도 말이 나옵니다. 영어회화, 여러 곳에서 배울 필요 있나요? 지금부터 딱 4주면 왕초보 탈출! 친절한 기초 탈출 과정을 수강하면 이렇게 할 수 있어요. A. 영어 발음에 자신이 붙어서 큰 소리로 말할 수 있어요. B. Are you~? Do you~? 두 가지를 구별해서 질문할 수 있어요. C. “날이 추워서 운동 안했어.”(The weather is very cold. So, I didn’t do exercise. )를 바로 말할 수 있어요. 왕초보 탈출 후 3개월이면 중급자 입문! 기초 완성 플러스 과정을 수강하면 이렇게 할 수 있어요. A. “누가 너한테 말했어?” (Who told you? )를 3초 안에 말할 수 있어요. B. 오늘 나한테 있었던 일을 말할 수 있어요. 1. 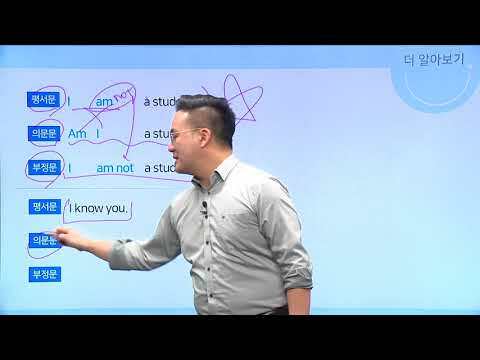 [토마토크 완전 패키지 X 클로바 AI] 상품은 [민쌤의 왕기초 영어], [덩어리로 말해영 & 스토리로 말해영] 강의와 클로바 AI 스피커로 구성된 기기 결합 상품입니다. 2. 클로바 AI 결합 상품의 강의 상품은 해당 상품 구매 즉시 강의 수강이 시작되며, 일시정지 및 기간 연장권 구매는 불가합니다. 3. [민쌤의 왕보초 영어] 강의는 강의 교재가 없는 강좌로 무료 강의 교안 PDF 파일이 제공됩니다. 4. [민쌤의 왕보초 영어] 강의 교안 PDF 파일은 강의실에서 제공되며 각 차시 강의 재생 페이지에서 다운로드 가능합니다. 5. [덩어리로 말해영 & 스토리로 말해영] 강좌는 강의 교재가 포함되어 있는 상품이며, 교재를 제외하고 구매는 불가합니다. 7. 해당 상품 구매 시 추가로 제공되는 [오픽/토스 강의], [실전 상황별 회화 시리즈]는 구매 즉시 함께 제공되며, 내 강의실에서 확인이 가능합니다. 8. [오픽/토스 강의] 교안은 각 차시 강의 재생 페이지 [학습자료실]에서 다운로드 가능하며 [실전 상황별 회화 시리즈] 강의는 별도의 강의 교재나 교안이 제공되지 않습니다. 9. [민쌤의 왕보초 영어] 강의의 복습용 음성 강의는 [민쌤의 왕보초 영어] 각 동영상 강의 차시별로 제공되며, 각 차시 강의 재생 페이지에서 MP3 파일 형태로 다운로드 가능합니다. 10. 수강 후기 작성은 각 차시 강의 재생 페이지에서 작성이 가능합니다. 11. 해당 상품 구매 시 제공되는 NE능률 영자신문 NE TIMES 무료 구독권(8주)은 다음과 같이 제공됩니다. - 구매 후 수강기간 7일 이상 유지 시에 제공됩니다. - 수강기간 7일 이상 유지한 경우, 2주 이내에 NE TIMES 온라인 이용권(8주)의 등록 번호와 유효기간이 모바일 문자를 통해 발송되며, 유효기간이 종료된 경우 이용권 등록이 불가하오니 유효기간 내에 등록을 완료해 주시기 바랍니다. - NE TIMES 무료 구독권 NE TIMES(www.netimes.co.kr) 사이트에서 이용권 등록 후 이용이 가능합니다. 12 클로바 AI 스피커는 상품 구매 후 택배를 통해 발송되며 교재와 함께 배송 처리되어 영업일 기준 2~3일 후에 수령이 가능합니다. 13. 클로바 AI 스피커는 브라운, 샐리 중 선택이 가능합니다. 14. 네이버 뮤직 3개월 이용권은 다음과 같이 제공됩니다. - 네이버 뮤직 3개월 이용권은 클로바 AI 스피커 택배 배송 시 함께 동봉되어 제공됩니다. - 네이버뮤직 3개월 이용권은 네이버뮤직> 이용권 구매 (http://music.naver.com/) 페이지 하단 [네이버뮤직 쿠폰 등록하기]에서 등록하여 이용해 주시면 됩니다. - 네이버뮤직 3개월 이용권의 경우, 3개월 경과 후 4개월부터는 자동으로 결제 처리 됩니다. - 무료 이용기간 만료 1개월 전부터 정기결제 예약을 취소하실 수 있습니다. - 예약된 이용권 결제 시 부가세 10%가 별도 청구됩니다. - 예약된 이용권 결제 시 매월 이용 시작일 기준 7일 이내 청약철회 가능합니다. - 클로바 AI 스피커의 A/S는 네이버 고객센터(1833-5387)를 통해 접수가 가능하며 A/S 접수 시 지정 택배 기사님이 수거 후 A/S 진행됩니다. 수리가 완료되면 고객님 주소지로 배송합니다. - 기기와 어댑터의 무상 A/S 기간은 구입일로부터 1년입니다. 구입일 확인이 되지 않는 경우, 제조일로부터 3개월이 경과한 날을 구입일로 산정합니다. 단, 초기 불량이 아니거나, 고객 부주의로 인한 상품 훼손, 불량인 경우, 소모성 부품을 교환하는 경우에는 유상수리에 해당되어 비용이 발생할 수 있습니다. - 자세한 A/S 관련 문의는 네이버 고객센터(1833-5387)로 문의 부탁 드립니다. 16. 해당 상품의 환불 규정은 다음과 같습니다. - 학습시작일로부터 7일 이내 6강 이하 수강한 경우에만 전체 환불이 가능합니다. * 수강'의 기준은 동영상의 완전한 재생이 아니라 학습창 접속 여부로 판단합니다. - 교재의 경우, 상품 수령 후 7일 이내에 환불 및 반품 신청 가능(고객센터로 반품 요청)하며 제품을 수령한지 7일이 지났거나, 제품의 포장 비닐을 벗기거나 훼손된 경우 환불이 불가능합니다. - 클로바 AI 스피커의 경우,	공급받은 날로부터 7일 이내에 개봉/설치/사용하지 않은 경우에 한해 환불 및 반품이 가능하나 공급받은 날로부터 8일 이상 경과하였거나 상품의 개봉/설치/사용을 진행하신 경우, 네이버 뮤직 3개월 무료 이용권을 사용하신 경우 환불 및 반품이 불가합니다. - 환불 시에는 클로바 AI 스피커에 대한 차감은 판매가(32,000원)가 아닌 클로바 AI + 네이버 뮤직 3개월 이용권 상품가(82,000원)을 기준으로 차감됩니다. - 교재 및 클로바 AI 스피커와 관련하여 고객 변심 또는 주소지/연락처 불명확으로 인한 반송, 재발송, 교환 시 배송비는 고객 부담이며 추가 반송비/배송비(6,000원)가 발생할 수 있습니다. - 교재/클로바 AI 스피커의 배송은 오후 2시를 기준으로 발송 처리됩니다. 17. 기기 결합 상품이 아닌 일반 동영상 강의 상품만 구매하기 원하시는 경우, 각 상품의 상세 페이지에서 구매 및 유의 사항 확인이 가능합니다. 지금 280,271명의 수강생님이 토마토크에 관심이 있습니다. 지금 855명의 수강생이 설문조사 후 무료수강권을 수령하셨어요! 지금 2,340명의 수강생이 토마토크 구매하고 왕초보 탈출을 시작하셨어요!